A trip to Southwest Virginia would have been lacking for VALOR fellows had we not learned about the coal industry in Virginia; and we did just that in Seminar III. VALOR is considered “a premier leadership program for adults in agriculture,” and it’s important to remember when developing well-informed leaders they must gain an appreciation of all components of the agriculture community that co-exist. We were honored to have Mr. John Belcher, Executive Director of Virginia Mining Association, Inc. (VMA). The Association is a non-profit trade association, representing Virginia’s coal mining companies, vendors and suppliers who support the industry. They were formed in 1971 with the goal to assist members in complying with the increasing role government agencies were taking at that time in the regulation of business, in particular, coal and other mineral extraction industries throughout the United States. 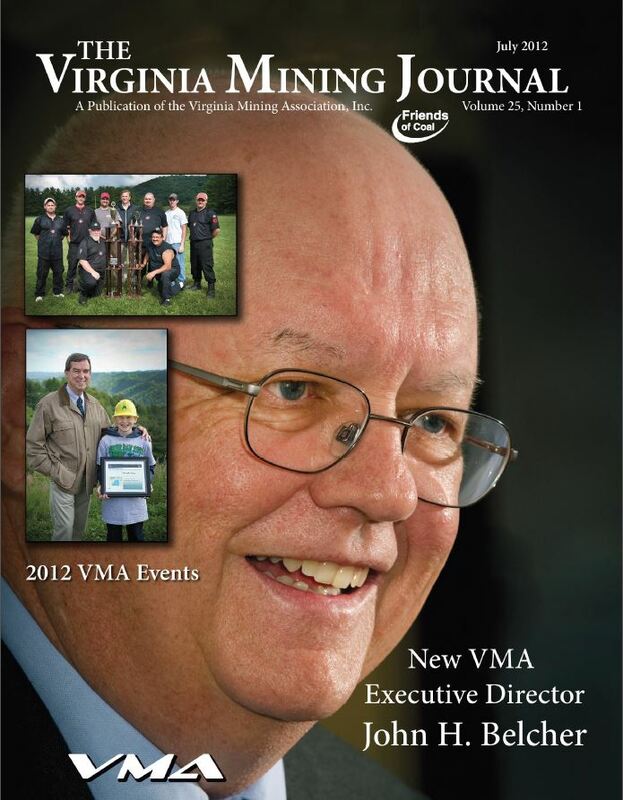 Mr. Belcher was appointed Executive Director of the VMA in March of 2012. A native of Buchanan County Virginia, he attended The University of Virginia at Wise and graduated from East Tennessee State University with a degree in Business Administration. Mr. Belcher worked for the Virginia Department of Mines, Minerals and Energy for over 37 years retiring in 2012. During his time with the state service he regulated the mining industry and worked with the public, the legislature, and other government agencies. He and his wife Gaye currently reside in Big Stone Gap. Mr. Belcher gave a very frank discussion of the coal industry in Virginia. Having served as a regulator before representing the industry, he has a unique perspective, and VALOR fellows had the opportunity to learn from his experience in both roles. Our seminar began just one week after an Election Day that was preceded by a long bitter campaign for our statewide offices. The race for each of these three offices brought the industry of coal and its importance into the discussion and media coverage. Its importance to the economy in southwest Virginia and the state overall is huge. It’s an industry similar to agriculture in that many point to economics and need, while others point to a discussion on environment and sustainability, so it was interesting to hear Mr. Belcher’s talk. Over the past decade and a half, coal production in the United States has increased steadily, however, in Virginia total coal-production has decreased. Virginia reached a peak in production in 1990, when the state’s mines produced over 46.5 million tons. By 2004, Virginia’s production had declined to 31 million tons. In 2004, surface mines produced 33 percent of the coal mined in Virginia. In general, most of all of Virginia’s coal production today takes place in the southwestern region of the state-namely in Buchanan, Dickenson, and Wise Counties. Cost has been the main factor in the change in production. Most Appalachian coal exist in thin seams, which can only be reached with expensive underground mines. Western U.S. coal production comes mainly from surface mines, and western coal seams can be far thicker than any seam in Appalachia. Safety is extremely important in the coal industry, as you can imagine it can be a very dangerous business, however with technology and increased emphasis over the years, it has become a much safer industry to work in than what is portrayed in the movies and media. The combination of declining coal prices and production has had a profound effect in the Virginia, both within the coal industry and in southwestern Virginia’s communities. Consistently, we have seen over the years that some of the state’s highest unemployment rates have been in coalfield counties. However, even with these bleak observations, the coal industry still contributes substantially to the state’s economy. Coal mining supports heavily non-mining jobs in coal transportation, equipment suppliers, and businesses frequented by coal-mine employees. VALOR extends a hardy appreciation to Mr. Belcher’s informative presentation and taking time to visit with us to allow the group to gain a better appreciation for the coal industry and the important role it plays in support of Virginia’s economy. Keeping the lights on, as well as the production of plastics, chemicals, medicines and many other related items are what we gain from the industry.